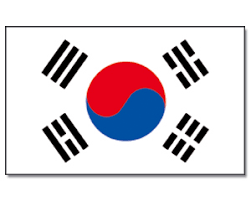 Korea Proposes Revision of the "Labelling Standards for Foods"
(*) Integrate the 'labelling standards for foods' and the 'labelling standards for livestock' in accordance with the newly published (on 13 March 2018) "Act on Labelling and Advertisements of Foods, etc.". (*) Reorganize the "labelling contents and labelling standards for each category of food products" in order to reflect the new food categories stipulated in the amended "Regulations on Standards and Specifications for Foods". (*) Mark "OEM" in the labelling of livestock products of original equipment manufacturing (OEM) in order to indicate that the livestock products are OEM products. (*) Add "pine nut" in the list of allergen contents that need to be indicated in the labeling of livestock products. (*) Label the name and content of corresponding ingredients with at least 12 pt font when labeling the name of an ingredient on the principal display panel.